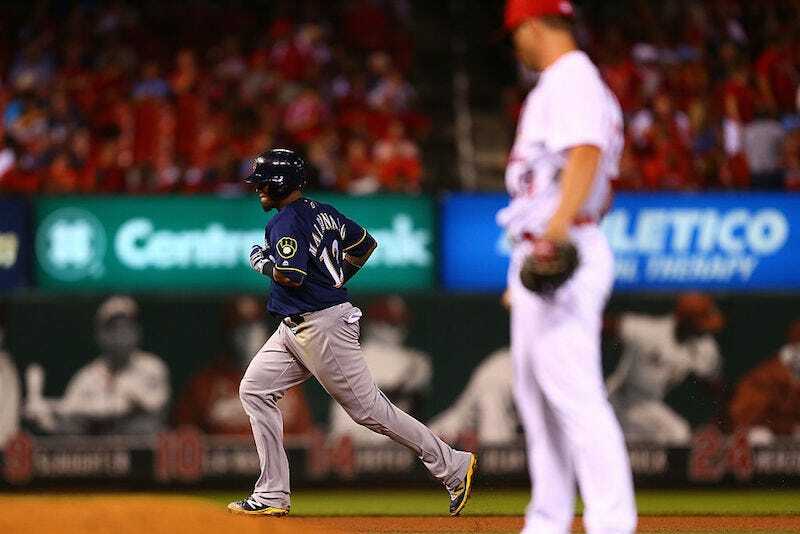 The Milwaukee Brewers’ offense broke out the bats Thursday as the team bludgeoned the St. Louis Cardinals, 12-5. Cardinals starting pitcher Jaime García left the game after throwing 68 pitches in 3 2/3 innings. He was responsible for five earned runs, one walk, and eight hits. The scoring didn’t stop there, however. Milwaukee feasted on Redbirds reliever Mike Mayers for a total of six runs in the fifth and six innings, including catcher Martin Maldonado’s two-run homer. The Cardinals are 73-66 and 30-38 at home. There’s always the next game!